Can Bengaluru carry league form into final? Bengaluru FC is the team to beat in the Hero Indian Super League (ISL). Last season, they were runaway leaders at the top of the table from start to finish and had eight more points than second placed Chennaiyin FC. That they lost against Chennaiyin FC in the final at home is a different matter. This time around, again, they finished at the top of the table. The gap, though, had narrowed down with FC Goa being tied on points. The two wins in the league stage gave Bengaluru an edge and left them at the top of the table. There is no doubt that they are now the favourites to win their first ISL trophy when they face FC Goa in Mumbai on Sunday. “If you look only at the two losses against them then, Bengaluru are the favourites. We are going to approach this final with nothing less than a fight,” said FC Goa coach Sergio Lobera. For all of FC Goa’s attacking brilliance and improvements in defence, they have not been able to trouble Bengaluru over two seasons. In four meetings between the teams, Bengaluru have won three times while Goa’s only win came in a tight clash (4-3) last season in which Bengaluru were down to 10 men after goalkeeper Gurpreet Singh Sandhu was sent off. In fact, this season, Bengaluru have done the double over Goa, scoring five goals past them and conceding just the one over two fixtures. Both teams’ approach stems from a Spanish philosophy honed in Catalunya, given that Sergio Lobera and Carles Cuadrat spent time in Barcelona. But there are nuances which could give an edge to Cuadrat in the battle against his compatriot. While Lobera prefers an all out, possession-based attacking game, Cuadrat has shown some flexibility with his tactics and his team is equally comfortable on the ball and in hitting the opposition on the counter. Moreover, Bengaluru’s Indian contingent is in better form. Goa’s game is heavily dependent on their foreigners, especially Ferran Corominas, Ahmed Jahouh and Edu Bedia. If these fulcrums do not play well, Goa tends to suffer. For Bengaluru, their Indian players have often stepped up when the foreigners have been off colour. 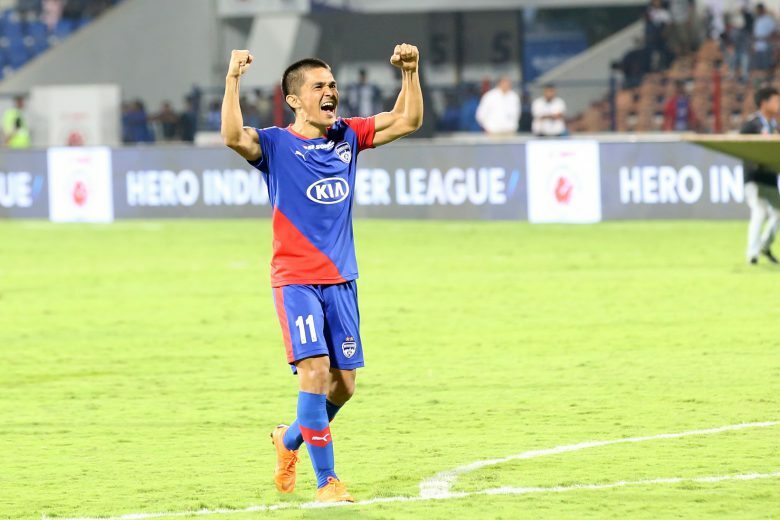 Sunil Chhetri is the leading goalscorer with nine strikes for them while Udanta Singh, Harmanjot Khabra, Rahul Bheke have all come up with key contributions through the course of the season. Gurpreet continues to be outstanding in goal for Bengaluru. Despite being overwhelming favourites, it could still go horribly wrong for Bengaluru FC. “I believe the final will be completely different than the two league games we have had already,” said Lobera. Bengaluru will think otherwise. They will want to carry their league form into the final and finish the season on a high. Will Cuadrat do what Roca failed at Bengaluru FC?